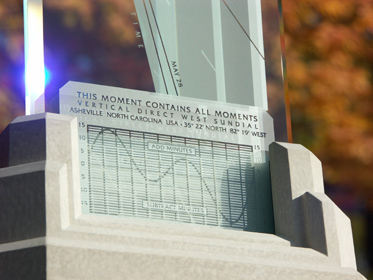 Close-up view of the lower portion of a south facing Spectra showing individual sundial information, equation of time correction chart, and cast stone base. Each custom sundial is inscribed with the location, latitude, and longitude for which it was made. 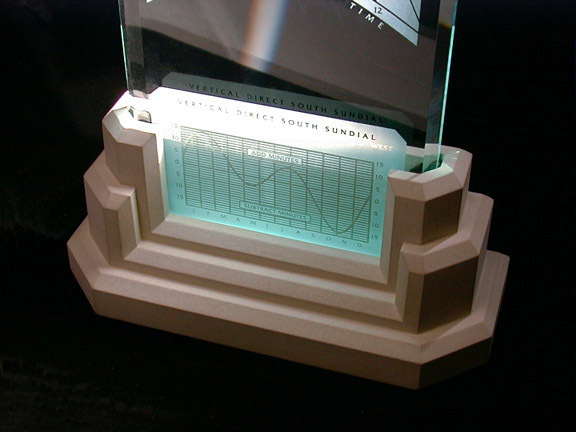 The Spectra sundial can also be personalized with special inscriptions and date lines. Contact us directly with any ideas for personalizing your Spectra sundial.